The rationale here was quite simple. A bigger radiator is better suited to keeping a car cooler. Especially when you are running it around on a race track, often in the summer. In the desert. 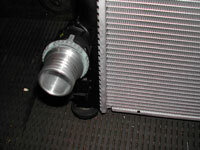 A larger radiator was deemed especially important given that other fluid cooling systems dump heat into the engine water. 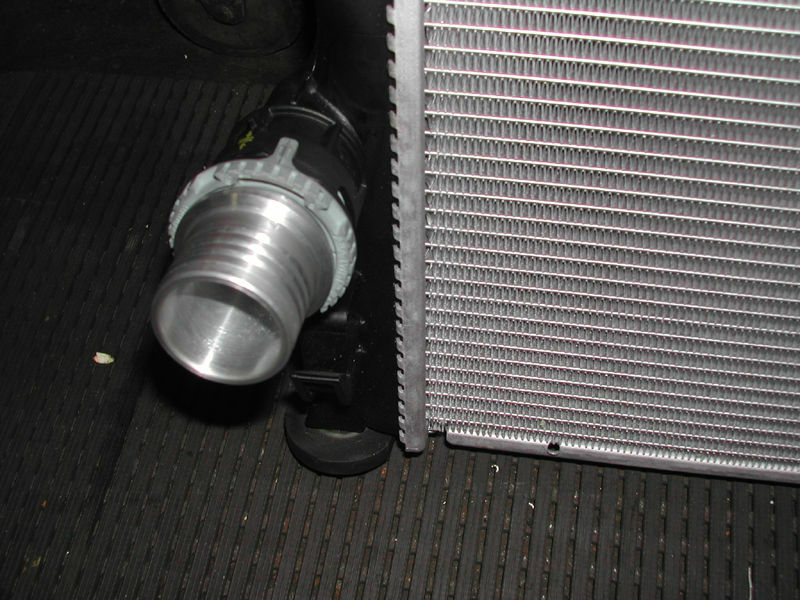 The stock transmission cooler dumps quite a lot of heat as it sits directly in front of -- and effectively seals to -- the radiator. All of its exhausting heat is dumped straight into the air that then passes through the radiator. Also, the Mopar Police Oil Cooler is plugged directly into the cooling system and further dumps in even more heat via direct exchange. There are four different direct-fit radiators available from Mopar. Three are widely available. I already had the 'Standard/Heavy Duty' radiator delivered as stock in the car. The next step up, known as the 'Severe Duty' radiator, was for vehicles equipped with a towing package. The SRT radiator - the beefiest generally available - is known as 'Severe Duty II'. However, there is a fourth, type, which is generally unavailable. Known as the 'Maximum Duty' radiator, this unit is on export restriction and, based on what little information that could be gathered after an exhaustive search and extensive help from Mopar sources, is limited to vehicles manufactured overseas for use in the Middle East. That sounded right up my alley and, through sources, I managed to get my hands on one. No specific capacity information is available, but the 'Standard/Heavy Duty' radiator is 0.5'' thick, and the Maximum Duty is about 1.8''. Its performance under desert road racing conditions has been exemplary. Summer racing on a desert racetrack has yielded temperature peaks of 240 degrees. More than livable under circumstances that require other cars to pit and cool down. Getting the thing installed, however, was far from painless. The unit has an odd twist-lock lower fitting that is compatible with... nothing. Not even a factory truck fitting we were able to scare up from the fitting's Swedish manufacturer... which pointed in the wrong direction. Eventually an adapter was hand-machined out of billet on a lathe. Clamped under a radiator hose, its the most beautiful piece of hand-crafted billet aluminum that you'll never see. This is a short paragraph that is not getting into the details of months of sleuthing, overseas phone calls, VIN hunts, the assistance of owners in the Middle East to acquire needed parts and more. Suffice it to say this particular part of the project is not for the faint of heart. If the Severe Duty II radiator is an upgrade for you, use that. You won't be giving up much if anything.